It’s normal to have car issues when it’s winter time. Luckily for you, we have the solutions to the most common cold weather problems for vehicles. It’s very common for batteries to fail and die in winter, which means your car won’t start. But at least the solution is simple as you can just use jumper cables. But you can prevent the problem altogether by keeping your connections tight and clean, with no corrosion. If your batteries are also more than 3 years old, you’re better off replacing them. You may also want to get a battery warmer for your battery. Air contracts when it’s cold, so the air in your tires has less pressure. You get deflated tires as a result. This isn’t good, as it can result in unsafe and uneven tread wear. So you can prevent this problem by checking the tire pressure at least once a week, so you can re-inflate when you need to. Gasoline doesn’t normally freeze. But your gas lines can contain water moisture, and that can freeze. This can then result in clogged fuel pickup. You can alleviate the problem by maintaining at least half a tank of gasoline. That should give you ample gasoline to compensate for the frozen water moisture. The oil can become thick enough that it becomes more difficult for your engine oil pump to pick up and circulate the oil. The oil just won’t be viscous enough. The solution is that you switch to low viscosity oil when winter comes. Read your driver’s manual, which may suggest an oil weight for cold weather. In general, go with synthetic oils. If you’re in subzero climates, go with 5W-30. The rubber in the windshield wiper can become so brittle that it’s more likely to crack or tear. That’s why you may want to buy windshield wiper blades specifically made for colder temperatures. If you insist on your current blades, at least make sure they’re not too worn, and you should replace them every 6 months if you can. The molecules in liquid crystals slow down when it gets too cold, so your infotainment screen display may become lethargic. You only need to wait for the car to warm up first so the problem goes away. You can also put in an engine-block heater to warm things up faster. Antifreeze doesn’t work when it’s too old or you don’t have the right ratio of coolant to water. So don’t use 100% antifreeze (it has a higher freeze point when not mixed in water), and go with antifreeze specifically for cold weather. Flush and refill your coolant every 2 years. That’s because your defrost function isn’t working, and that’s dangerous when driving. 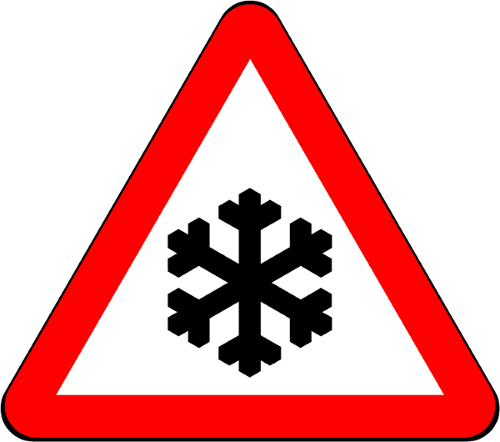 So check first that your heating and defrosting functions work before you get on the road. Always check that the fan belts are in good shape. If they’re not, just replace them. Worn fan belts may break or fail to bend in the cold. In the end, you have to be aware that cold weather requires extra care if you own a car!